Replacement cutter blade for the Honda Izy HRG 416 PK and Honda Izy HRG 416 SK. 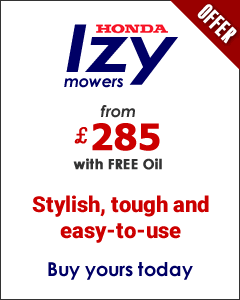 *Please note that these blades will only fit this years current Honda Izy HRG 416 PK/SK models, and may not fit older models. If you are unsure whether this is the correct part for your machine, please send us your machine serial number and year of purchase via our contact us page.